Does Art Make Us Happy? 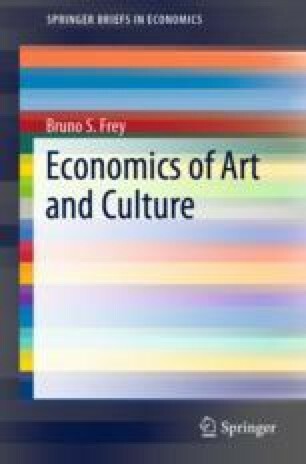 Empirical evidence reveals that artists are happier than similar other people, and that participation in cultural activities raises life satisfaction. It may be that the causation runs in the opposite direction, namely that happy people become artists, and that they attend more cultural occasions. However, there are strong indications that this reverse effect is not dominant and that art indeed makes artists and consumers happy.